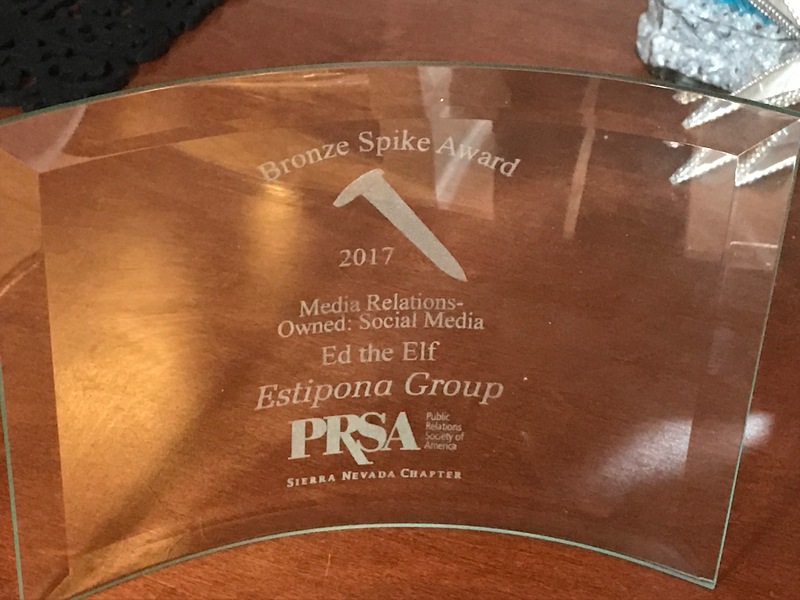 We had THE BEST time celebrating with other public relations and marketing professionals the other night at The Grove for the annual Silver Spike Awards, hosted by the PRSA Sierra Nevada Chapter. It’s a night of getting a little glammed up, hanging out with peers, colleagues and clients and celebrating all of the incredibly creative campaigns created by the very best in the business. The event itself is so much fun, we’d go even if no awards were given out! To be able to share the spotlight with two of our PR/content marketing clients — the Nevada Housing Division and Steven Ing, MFT — meant so much to us. But to win awards for these efforts — especially as judged by a team in Milwaukee, just so that all the potential bias is factored out of the awards — just makes it so much more meaningful. And to get to spend the evening with our clients: a priceless experience! Our thanks to the PRSA board, the Milwaukee judges and to our phenomenal peers, all of whom are doing spectacular work. And most of all, our thanks to all of our clients, who drive us every day to work our virtual butts off. And you know one of the best things about that night, besides the clients and the work and the celebrating and the people and the food? We now have a shiny piece of glass engraved with the words “Ed the Elf.” You know, for posterity. Check out our Facebook photo album for snaps from our super-fun night!